Combining poetic landscapes and interiors with portraiture, American fine art photographer Tema Stauffer explores the visually and historically complex community, culture and architecture of one of the oldest regions in America. 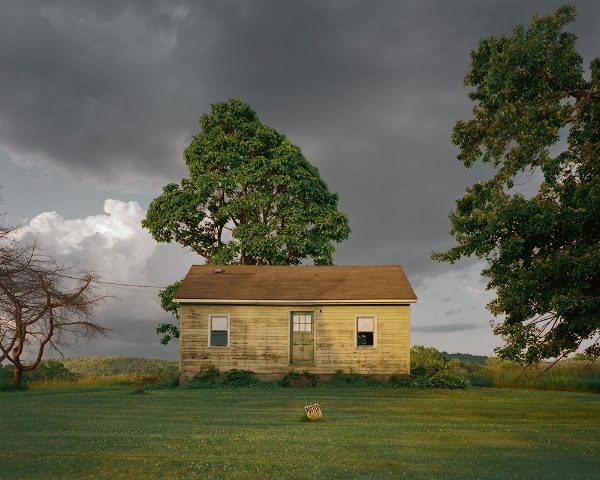 Stauffer’s photographs in Upstate, shot on color film and exquisitely bathed in natural light, lyrically depict ordinary houses, front porches, decaying barns, ruined factories, parked cars, winter branches, and evocative landscapes, along with compelling portraits of local residents. Some of her photographs reveal a haunted or melancholic atmosphere that permeates the Hudson Valley, where the past remains deeply resonant. Others evoke a quiet beauty and mystery emanating from the vernacular architecture and artifacts reflecting the industrial era and rural setting of upstate New York and the shifting economic realities over time. In many ways, the ups and downs of Hudson’s cultural and economic landscape reflect the experiences of dozens of other post-industrial cities all across America.